Although the practice of dating or meeting new people on the internet has gained widespread acceptance, people are still unaware of the risk it poses to their individuality. It has been noticed that people continue to indulge in activities that puts their privacy at stake in the virtual world. The importance of privacy is critical, particularly when you are using a herpes dating site. Herpes dating websites are striving to make their experience seamless and secure. However, it still isn’t easy to choose a service that strikes the perfect balance between usability and privacy. Nonetheless, it is always better to put in a little effort when it comes to safeguarding your identity and maintaining a certain standard of privacy. It is vital to learn the ground rules of online herpes dating. The most common mistake that people make is they treat dating website just like social networking websites such as Facebook. It is important to understand that in case of Facebook, you are sharing information with friends and not strangers. On the contrary, dating websites require you to share information with people you haven’t met or spoken to. Although you might treat them as potential partners, trusting them right from the beginning isn’t advised. 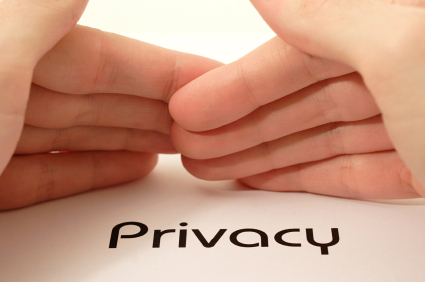 We recommend the following guidelines that will ensure your privacy on herpes websites. 1, Abstain from sharing your full name, residential or office address and telephone on the internet. 2, Try sharing information pertaining to your personality, ambitions, objectives and interests without giving specific date. This will prevent others from knowing your true identity. 3, Never send money to someone you haven’t met in person. Besides, if you realize that a person is hitting upon you for money, the best thing to do is discontinue the relationship. In most, such incidents lead to bad experiences. 4, When you have made up your mind to meet in person, arrange for your own transport and meet in a public place where there are many people around. 5, Don’t hesitate from saying no if a person on the website asks for your personal information. 6, Avoid sending digital photos as they might contain metadata, which can reveal the location where the photos have been taken. 7, Never use the same name that you use on other platforms such as Facebook as the other person might eventually trace you down. 8, Never be in a hurry to add the person you met on a herpes dating website on any social networking website. This will make your personal information accessible to him. Almost all leading herpes dating platforms offer similar privacy statements, mentioning that your personal information will be stored for the purpose of profile match and will not be sold to any third – party vendor. If a website doesn’t promise privacy, don’t consider joining it. We recommend you PS, one of the first and largest free dating sites for people with herpes. It’s safe,anonymous and private,protect users privacy very well.